▶ This station is currently not open. Future Line 16 interchange. Stations between Xiju and Jintailu, but not including these two stations, have not yet opened. To many who will transit the capital whilst connecting between trains from Beijing South to Beijing West main line railway stations, the new and faster way is to take Line 4 from Beijing South up to Caishikou, then head west on Line 7 until the Beijing West terminus. Subway connection times have been slashed to under 20 minutes, with a one-way fare costing riders a mere ¥4. Fares in the city’s Subway network have also gone up; the minimum fare is now ¥3, and the maximum fare is now ¥9 for the moment, although it is probably reserved only for travel from one end of the system to the other. Reduced fares apply to frequent users (although the discounts end after the 400th Renminibi of spent travels on the city fare zone of the Subway network per month), so to encourage people from picking up a city transit card. The cost of travelling without a ticket has now gone up exponentially — the new penalty is ¥90 if caught. New also is a rule that penalises you if you stay in the system for 4 hours or more; you will be charged the minimum fare, ¥3. When travelling on the new lines or extensions, remember also that you must have both your bags checked and be subject to an airport-style inspection of your body via the metal detector, as is the case at national railway stations. The city’s Subway network stands now at 527 km, just under 20 km shy of Shanghai (the current holder for the world’s largest city metro system by mileage) and over a hundred kilometres longer than London’s system. Datunlu East station is closed on Line 15 only. Passengers cannot change directly between Lines 5 and 15 until at least late 2015, according to the plans. Only Line 5 users can use Datunlu East for now. Tongyunmen and Beiyunhe East stations on Line 6 are closed. Also, a handful of trains will continue to go only as far as Caofang, which has been the case for all trains before the extension further east just opened today. 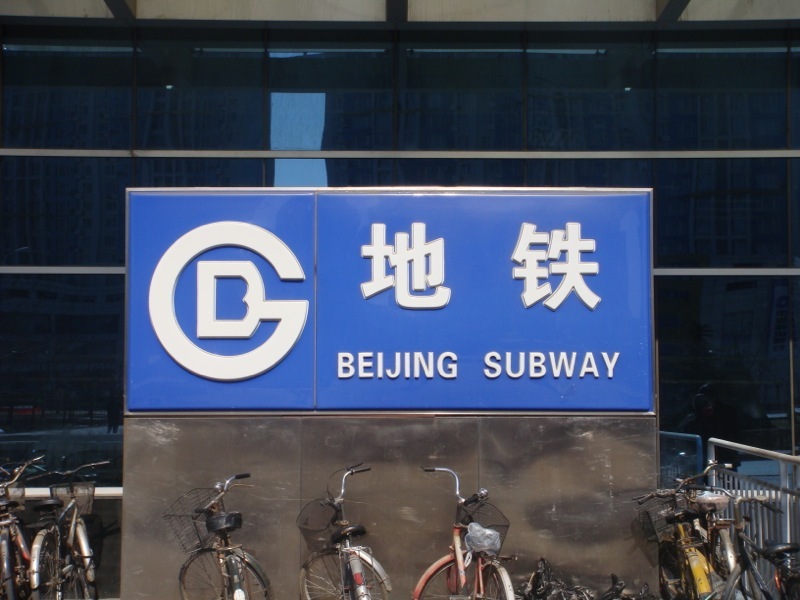 Beijing West’s subway station uses a cross-platform interchange system; however, only southbound passengers on Line 9 changing to Line 7, and westbound passengers on Line 7 changing to northbound Line 9 trains, will be able to take advantage of this. Everyone else will have to use the concourse on the upper level to fully complete the change. Passengers will not be able to directly change at Shuangjing between Lines 7 and 10. Only Line 10 passengers will be able to use Shuangjing for the moment. Fatou station on Line 7 is closed for the time being. Chaoyang Park and Gaojiayuan stations on Line 14 are also closed for the time being. On Line 14, stations east of Xiju, and south of Jintailu, are still being built. You will have to use Line 10 (plus a short stretch of Line 6) to complete a ride on both ends of the line. You cannot as of yet change between Lines 13 and 15 at Qinghuadonglu Xikou station, although Line 13 will also be building a station on its part of the stop in the near future. It does not appear that express services will yet commence on Line 6. Confusingly, there are two Guanzhuang stations — one on Line 15, the other on the Batong Line. Make sure which station you’re headed for; the two can be far from one other!